The 3.5 pounds of fill is designed to keep the user toasty warm while the breathable, waterproof Amphibia® membrane keeps things dry. In addition to the draw string closure on the hood, there is a chest tube with pull cord to seal out the cold. The High Peak Mt. Rainier mummy bag appears to be manufactured with good quality control. There are no visible loose threads, pulls, or defects of any nature. 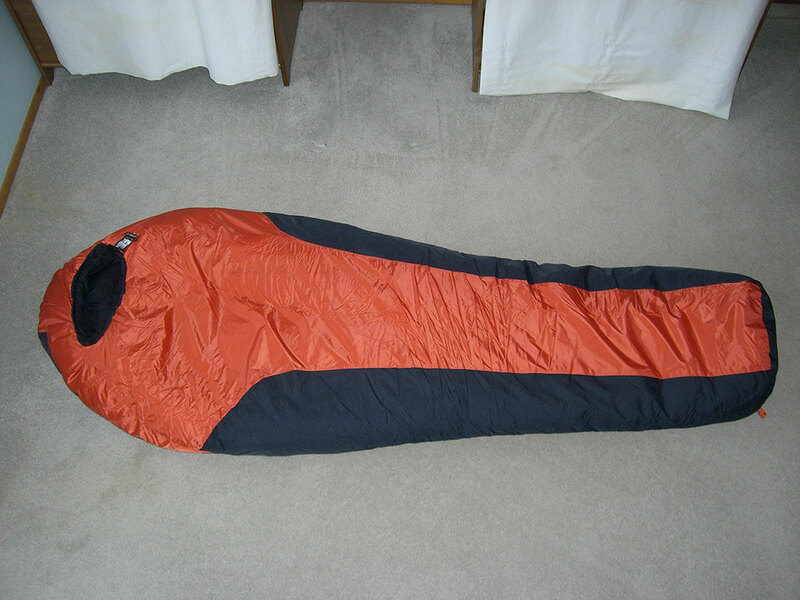 The sleeping bag feels durable and the zipper is easy to use from inside or outside the mummy bag. After removing the mummy bag from the compression sack, it quickly fluffs out and the high loft gives the appearance of never being able to fit back in the sack. The Mt. Rainier sleeping bag remains lofty all night and is actually easy to stuff back in the compression sack thanks to four compression straps. This mummy bag has been a flawless performer. On a chilly 4°F night I stayed comfortably warm. With past mummy bags, I would have to cinch the hood nearly closed and keep my head tucked all the way under in order to stay warm. With the Mt. Rainier mummy bag I have not needed to cinch the hood at all. Since I am a cold sleeper, I normally sleep in my long johns, fleece pants, and jacket liner. 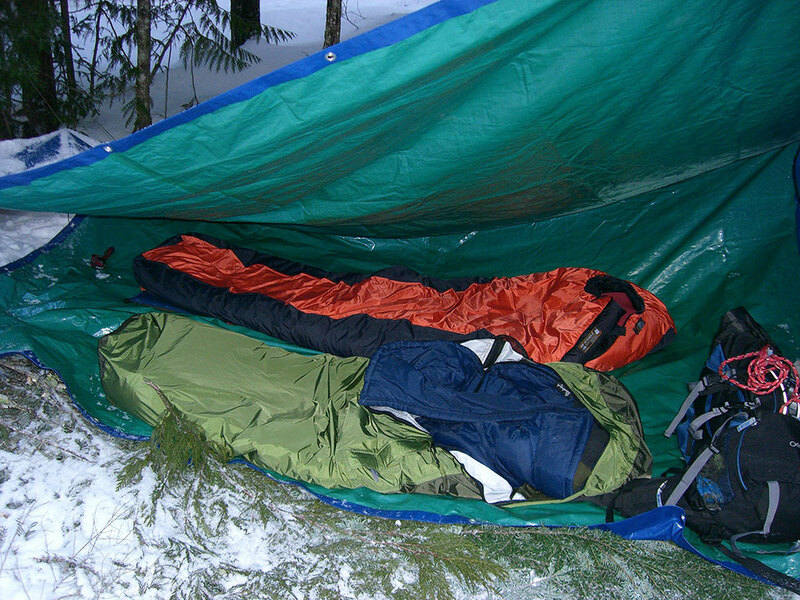 For comparison, sleeping in the same clothes using my old 20°F rated North Face mummy bag in 35° weather, the Mt. Rainier mummy bag is much warmer and more comfortable. The extra insulation not only provides more warmth, but also more cushion. I normally sweat while sleeping, so condensation can be a problem. Fortunately the Mt. 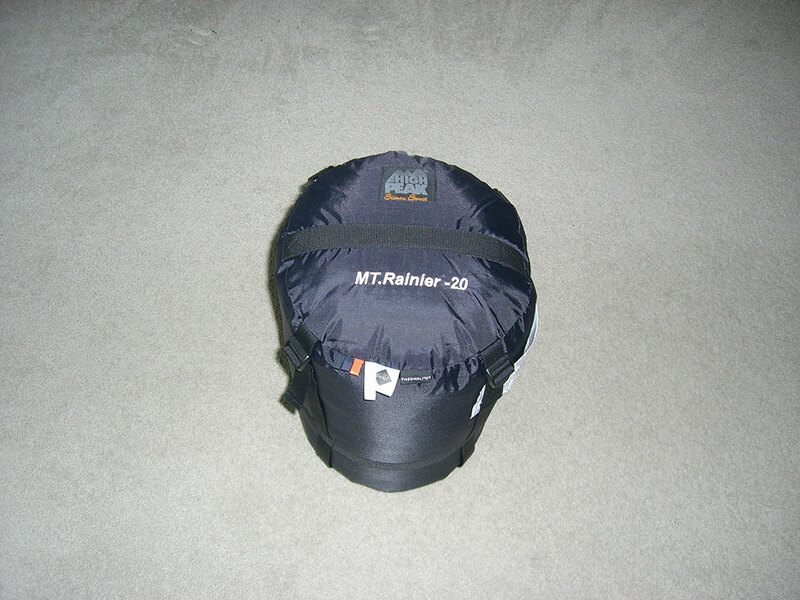 Rainier mummy bag has great breathability. There is no feeling of dampness inside the sleeping bag. 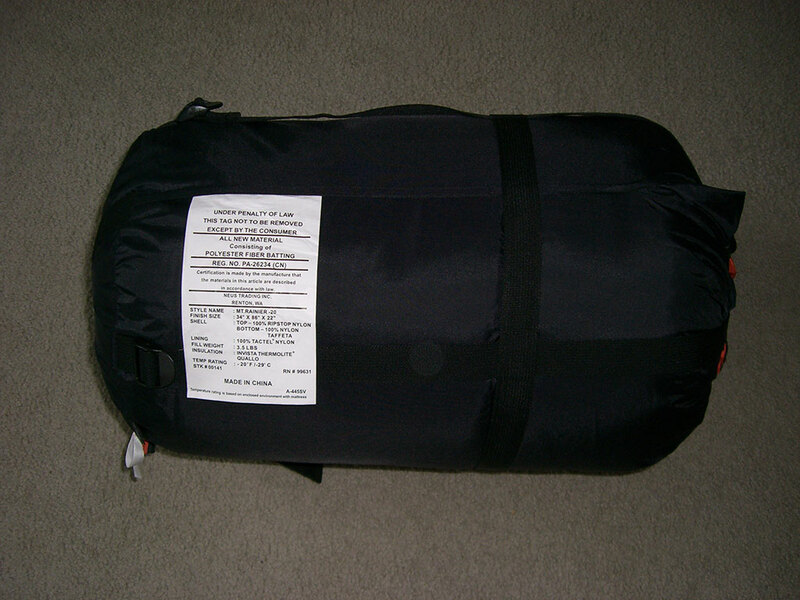 I have not been able to test the waterproof aspect of this mummy bag as my trips have always been below freezing. Any condensation in my tent is quickly frozen, so if it falls on the sleeping bag it just sits there until it is brushed off. 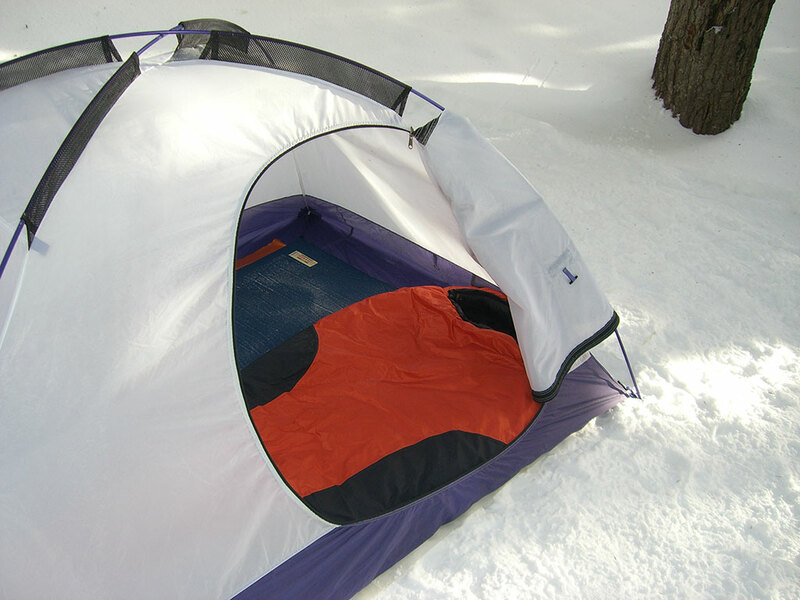 The waterproof membrane would likely prove useful in an emergency situation where no tent or shelter was available. 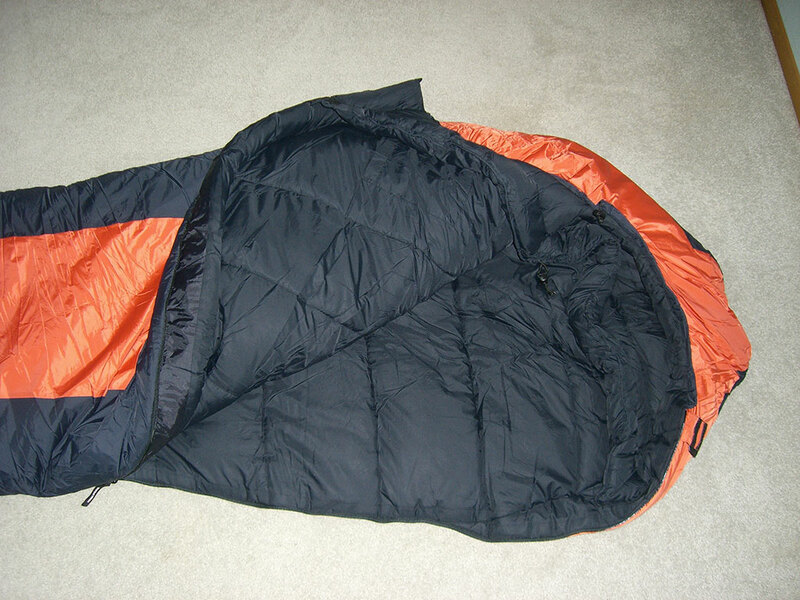 See "Snow Camping At Twin Lakes" and Snow Camping in Upper Clackamas" adventures where this sleeping bag was used. This is currently my favorite sleeping bag. The quality and value of this High Peak Mt. Rainier mummy bag are outstanding. I no longer worry about being cold on my winter snow camping trips. I highly recommend this bag for winter use (it is too heavy and bulky for summer use). 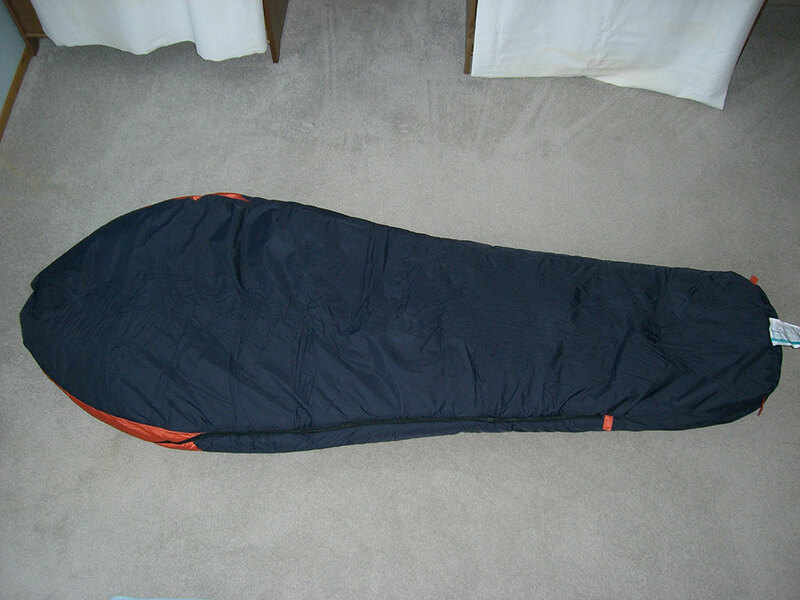 Remember to store sleeping bags uncompressed and allow them to dry completely to prolong the life of the fill material. Available from amazon.com.